In a video clip on his Facebook page yesterday, Mr Hun Sen warned ministers who failed to tackle problems that they would be excluded from the new government. “Why don’t you make the decision and do it to ensure work efficiency? Sometimes, by purpose I do not reply. 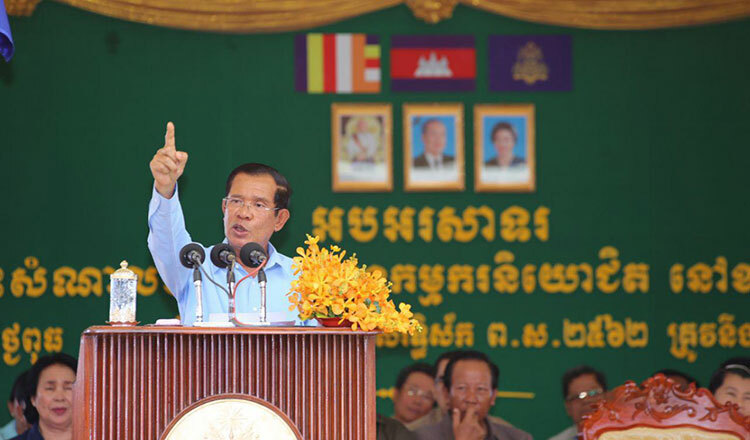 If every matter requires ideas from the Prime Minister, then there is no need to have ministers in the Kingdom,” Mr Hun Sen said. 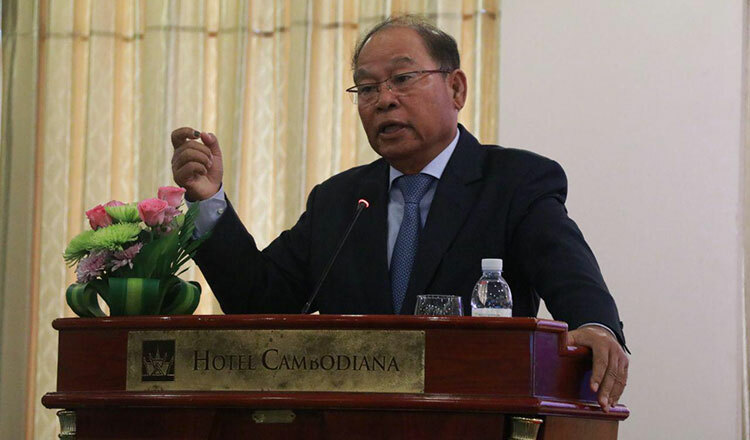 Government spokesman Phay Siphan said yesterday that he could not reveal the composition of the new government, but acknowledged that lazy officials will be reshuffled. “Only the Prime Minister has the exclusive right to know the shake-up. I can only tell you that inactive officials will receive disciplinary punishment. They are officials that did not respond or address people’s concerns and this affected the government’s policies,” Mr Siphan said. In a cabinet meeting on May 25, Mr Hun Sen criticised three ministers for accusing each other of being responsible for toxic water that caused illnesses and deaths in Kratie and Mondukiri provinces. He said if the ministers do not act responsibly, they would be dismissed. The targets of his warning were Minister of Industry and Handicrafts Cham Prasidh, Minister of Mines and Energy Suy Sem, and Health Minister Mam Bunheng. The National Assembly is set to open its first session on Wednesday, with the new government formed on Thursday and the Council of Ministers first meeting on Friday. 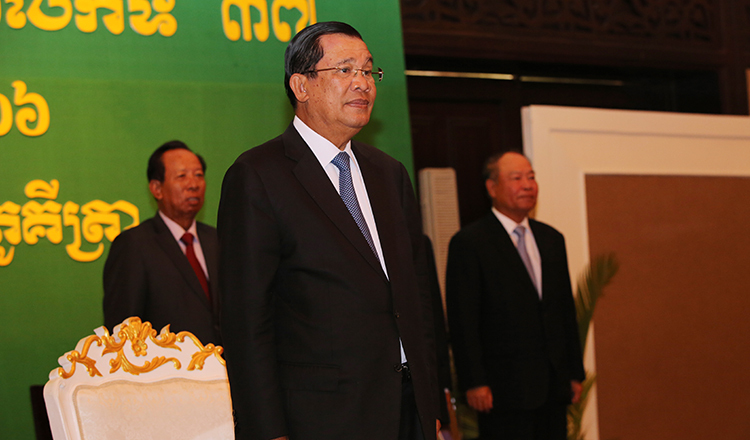 Mr Hun Sen also called on all government officials to improve their ability to serve the public and behave honestly. 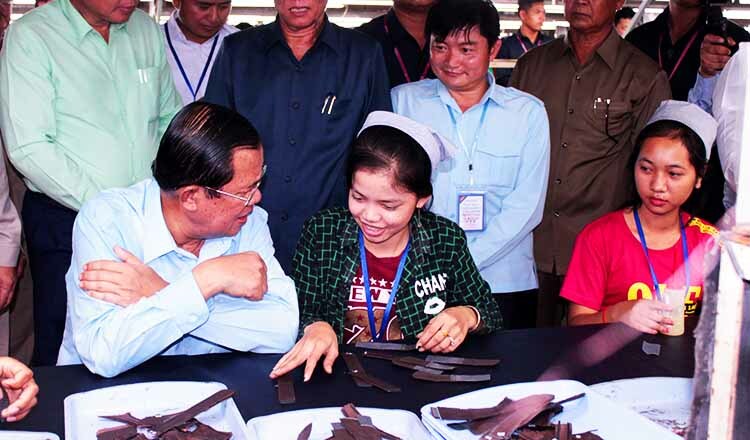 “Public officials are the people’s honest servants, not their bosses, and you must strengthen your capabilities to catch up with modern technology, and not be conservative officials,” Mr Hun Sen said. He said that elected officials must be faithful to the people and be held responsible for what they pledged before the July 29 national election. There goes his un-favorite ones; the ones that did not make any money for his boss. I bet his children did not affected. This should apply to the Malaysian Goverment too.